Nearly 27 million Americans are impacted by osteoarthritis, making it the most common form of arthritis. It is a leading cause for work disability and reduced quality of life. Yet, controlling osteoarthritis doesn’t mean merely popping pills to numb the pain. There are various alternative ways to manage osteoarthritis pain. Once appropriately diagnosed, there are numerous ways to manage the pain of osteoarthritis. Some ways are more common than others, but considering that not everyone reacts to various remedies in a similar manner, it is a good idea for each person to try varied tactics (under the supervision of a health care provider) to determine what works best. One of the most essential ways to control the aches of arthritis is keeping weight under control. For every pound of weight lost, there is a 4-pound decline in the weight placed on the knee for each step taken during the course of regular activities; and losing as few as 11 pounds can reduce the chance of developing knee osteoarthritis by a full 50% for some people. Regular physical exercise helps keep joints mobile, reduces pain and makes muscles around the joints stronger. Swimming is in particular geared for people with osteoarthritis because the water’s buoyancy provides for exercise with little impact stress to the joints while developing strength and increasing range of motion. Warm and cold therapy can also be effective pain management methods. Heat therapy, including a warm shower, heating pad or hot pack can relax stiff and painful muscle tissue. Cold therapy, like cold compresses and frozen gel packs, can help by numbing nerve endings in affected spots. Note that individuals who have Reynaud’s phenomenon should not utilize cold therapies. While treating the body for osteoarthritis pain, don’t forget about the power of your mind. The mind plays an important role in how you experience pain and respond to illness. Dealing with worries through relaxation strategies can give a sense of control and wellbeing that makes it easier to manage pain and may also lower anxiety, depression and sleeping troubles. A medical professional might possibly order occupational therapy for somebody with osteoarthritis. Occupational therapists can aid with body mechanics (learning how to move the body in ways that do not elevate pain), joint protection techniques and adaptations to daily activities to preserve energy. Visiting Angels, top providers of the senior care Sunnyvale families trust, can help those with osteoarthritis to remain independent and in control of life. 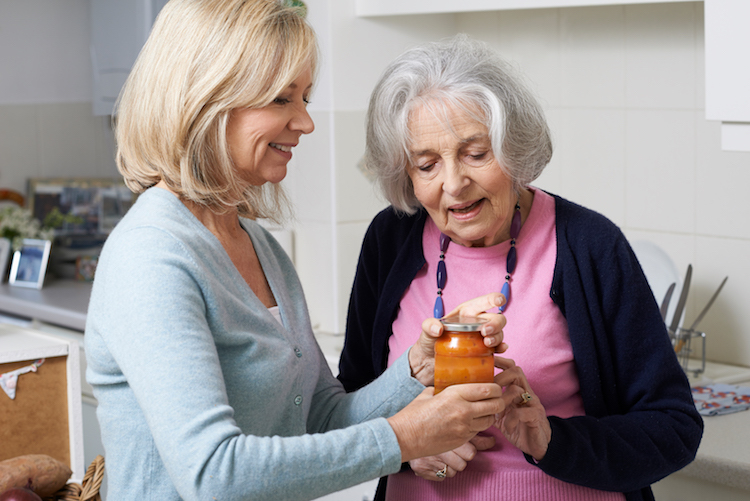 Visiting Angels recognizes the needs of the arthritic patient and offers a wide range of in-home care solutions based on each individual’s needs. Contact Visiting Angels for information on elder care services in Alameda and Santa Clara counties at 800-969-0499, and to get a partner in care who can assist when a helping hand is needed.